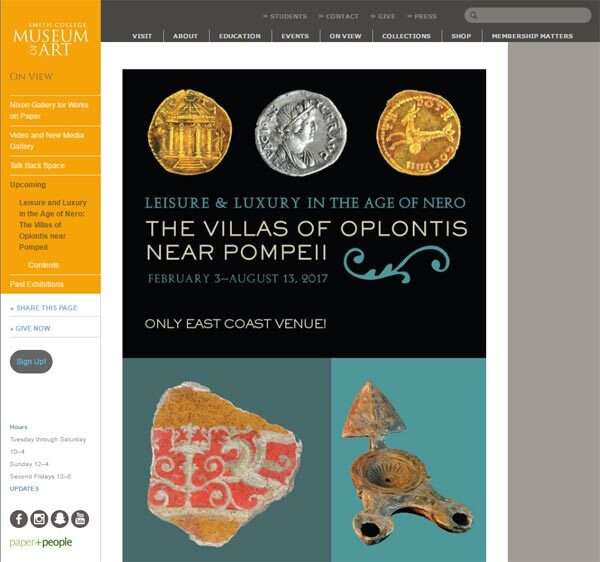 Leisure and Luxury in the Age of Nero: The Villas of Oplontis near Pompeii is the largest special exhibition ever mounted by the Kelsey Museum, and its first-ever major international loan exhibition, with more than 200 objects having been brought from Italy. Organized in cooperation with the Archaeological Superintendency of Pompeii and the Oplontis Project at the University of Texas, this spectacular show explores the lavish lifestyle and economic interests of ancient Rome’s wealthiest and most powerful citizens, who vacationed along the Bay of Naples. The exhibition focuses on two structures at Oplontis that were buried when Mount Vesuvius erupted in AD 79. One is an enormous luxury villa that may once have belonged to the family of Nero’s second wife Poppaea. The other is a nearby commercial-residential complex—a center for the trade in wine and other produce of villa lands. Together these two establishments speak eloquently of the ways in which the Roman elite built, maintained, and displayed their vast wealth, political power, and social prestige. In presenting a selection of impressive works of art along with ordinary utilitarian objects, the exhibition also calls attention to Roman disparities of wealth, social class, and consumption. Such disparities were as problematic for Roman society as they are for ours today. Venues of the exhibition included the Kelsey Museum of Archaeology, Ann Arbor, Michigan (February 19–May 15, 2016), Museum of the Rockies at the Montana State University, Bozeman (June 18–December 31, 2016), and the Smith College Museum of Art in Northampton, Massachusetts (February 3–August 13, 2017). 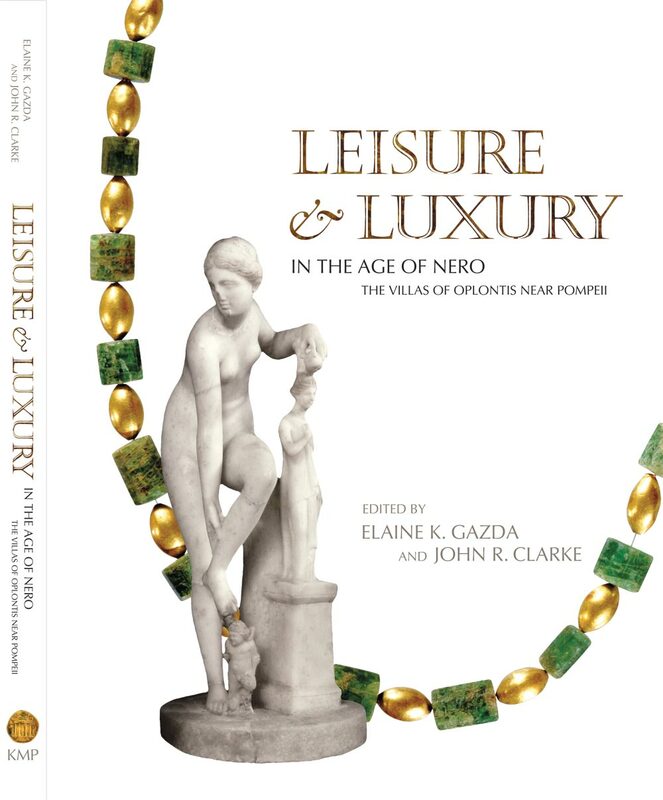 Leisure and Luxury in the Age of Nero: The Villas of Oplontis near Pompeii, edited by Elaine K. Gazda and John R. Clarke, with the assistance of Lynley J. McAlpine, Kelsey Museum Publication 14, 2016. This heavily illustrated volume presents a collection of essays by an international group of scholars who highlight and interpret the archaeological discoveries of both the Italian excavations at Villa A and Oplontis ("Villa") B from 1964 to 1991 and the ongoing Oplontis Project, a collaboration between the Archaeological Superintendency of Pompeii and the University of Texas at Austin since 2006. Many of the authors are members of the Oplontis Project team. The volume also contains a full catalogue of the objects in the exhibition. Purchase the exhibition catalogue online or in the museum's gift shop. This exhibition is the fruit of a multi-year collaborative effort on the part of many colleagues and institutions. 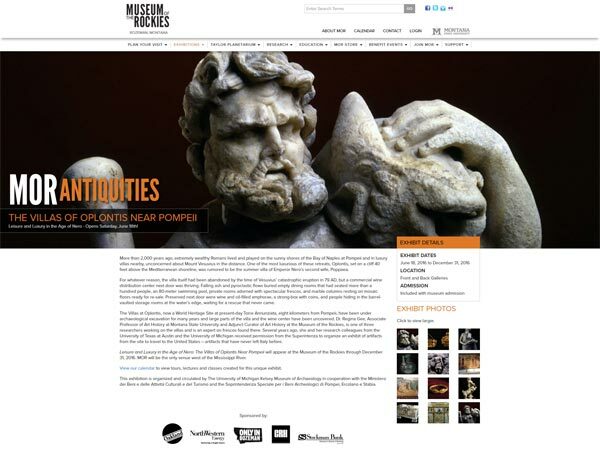 Special thanks are due to the Ministero dei Beni e delle Attività Culturali e del Turismo and the Soprintendenza Pompei, to the members of the Oplontis Project team, to the Center for the Study of Ancient Italy at the University of Texas, and to the members of the staff of the Kelsey Museum of Archaeology of the University of Michigan, the exhibition’s organizing venue. 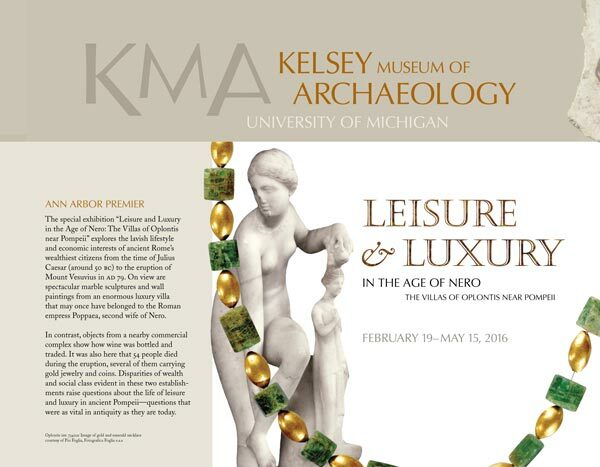 Our deep thanks go to Sharon C. Herbert, Professor of Classical Art and Archaeology and former Director of the Kelsey Museum, for her leadership gift and to the many other donors whose generosity made the Ann Arbor installation of the exhibition possible.